Web service technology is an Internet-based distributed computing paradigm to address interoperability in heterogeneous distributed systems. 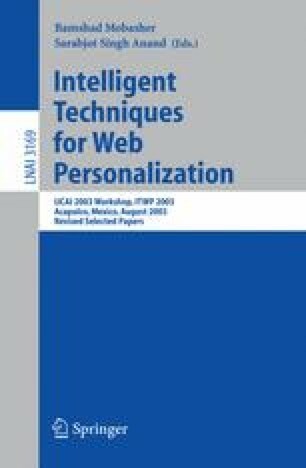 In this paper, we present a privacy framework for Web services which allows user agents to automatically negotiate with Web services on the amount of personal information to be disclosed on behalf of the user. In developing this framework the following key privacy considerations are taken into account: revealing only the minimal pertinent information about the user, not to overwhelm the users while declaring their privacy preferences and requiring only limited user interaction. In the framework proposed, the Web services declare their input parameters as Mandatory or Optional and allow users to declare how much of their personal information can be made available to the services. The users specify their privacy preferences in different permission levels on the basis of a domain specific service ontology based on DAML-S. The major components of the system are a globally accessible context server which stores user preferences and a service registry where the services advertised and the service semantics are available. This work is supported by the European Commission through IST-1-002104-STP Satine project and in part by the Scientific and Technical Research Council of Turkey, Project No: EEEAG 102E035.